With a single contract you get total assurance. Unlike pay as you go support contracts our contracted services make permanently fixing any problems as much in our best interests as yours. Our Service Level Agreement gives you prompt and proficient support via remote, telephone or on-site support. Our services are exhaustive, from help desk support to sourcing hardware and software at competitive prices. During the first few weeks, we spend time stabilising your system and applying any fixes. Ongoing support includes monitoring and pre-empting potential problems while giving you the full IT support you need… but if you saw everything we did, we wouldn’t be doing our job. All issues are intelligently prioritised, using the tracking system built into our Customer Relationship Management software. This ensures guaranteed fix times are met. 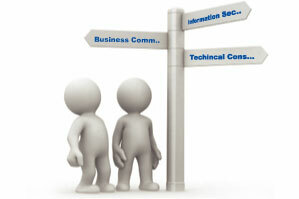 Our experienced Directors can advise on lease-buy decisions to ensure maximum benefit from your IT budget. Whether you simply want to change your view in Word or integrate a new accounting package, our patient and friendly staff will guide you through the process. Our full range of technical services includes support for your entire IT environment including Desktops, Thin Clients, Laptops, Servers, Printers and other Peripherals.